Get rewarded simply by recording your physical activity and fruit and vegetable servings. 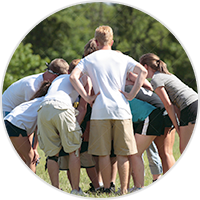 Each team requires a minimum of 10 individuals and an adult Team Captain. 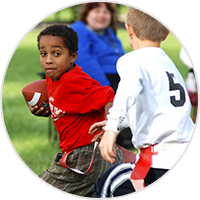 Teams may consist of students from school classes, clubs, after school programs, or even youth groups. Be creative! Team participants record their physical activity and fruit and vegetable servings on their daily recording sheet and team logging poster. Complete individual challenges for giveaways. Team captains track the team's performance by logging into the website and entering the teams total activity and fruit and vegetable servings. Complete team challenges for giveaways. Individuals that take on the 5-2-1-0 Challenge for one week will be entered in a drawing for a chance to win an awesome bike! Teams that report online each month of the program will be entered in a drawing to win one of three $500 awards!